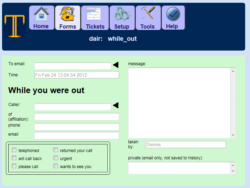 TelephoneMessagePad is an electronic system for taking, distributing, and organizing phone messages. Get caller info you need. Use standard forms or custom forms to capture exactly what you want. Get call records in a single glance. 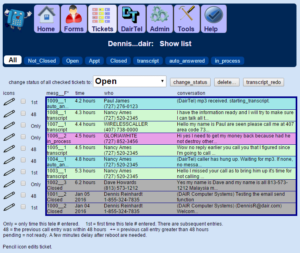 Color coded call status provides instant overview. Get instant notification of new calls. Stop losing clients to late returned calls.